Train tracks have been repaired along a North Texas line following a freight train derailment after flooding washed away the tracks. BNSF Railway spokesman Joe Faust says the line near Valley View reopened early Sunday morning. That's about 50 miles northwest of Dallas. The area has endured heavy rains and storms over the last several days. 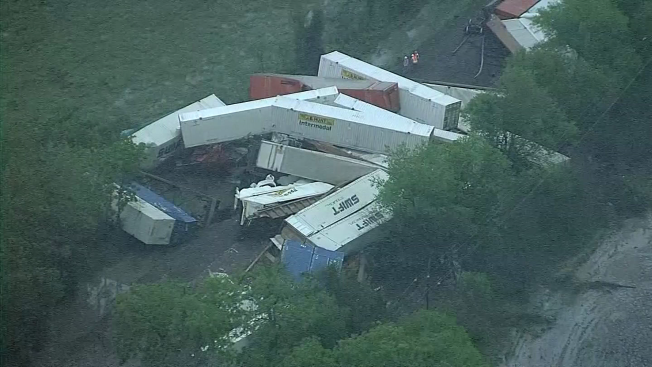 Four engines and 13 cars derailed Friday, leaving four crewmembers slightly hurt. Amtrak passenger trains that use the line were being rerouted.